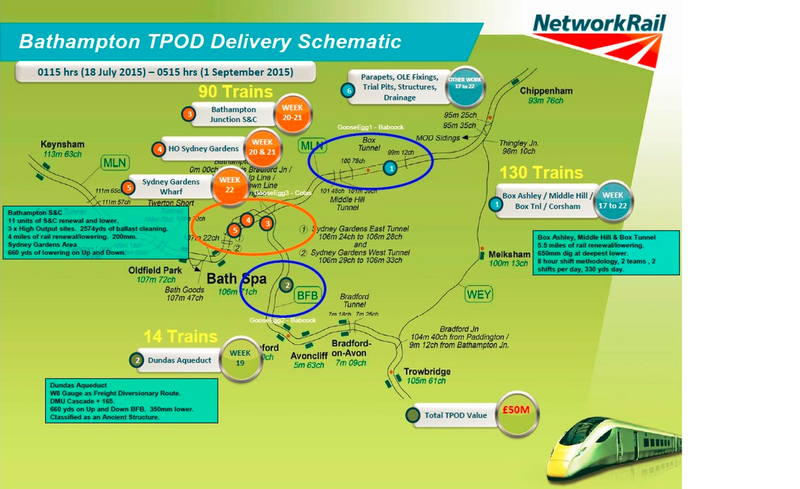 Bath, Bathampton Junction, Middle Hill,Box tunnel, Corsham & Dundas. 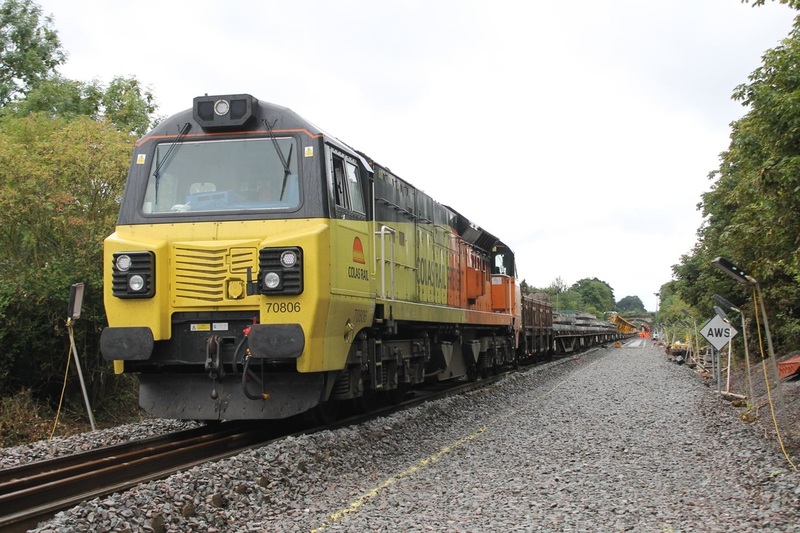 Reference to the pictures which follow, all of which were taken by Craig Munday during two visits to the several sites. 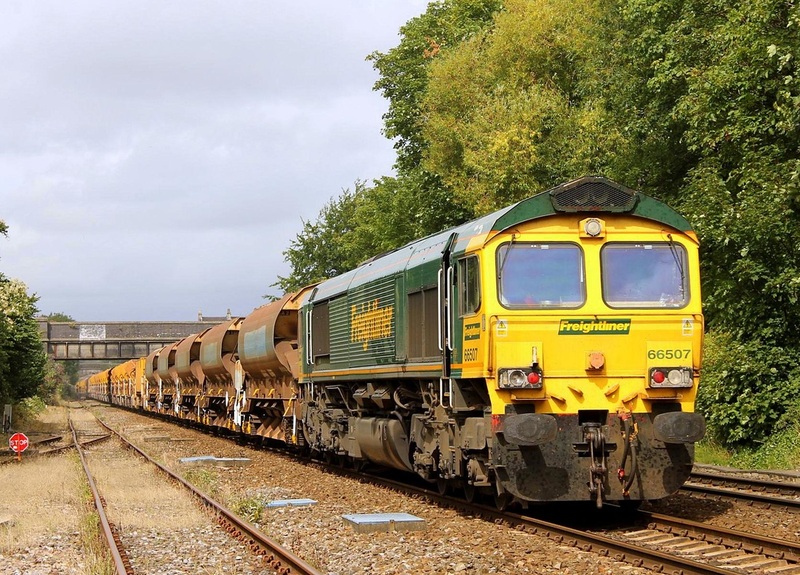 Many thanks to Craig. 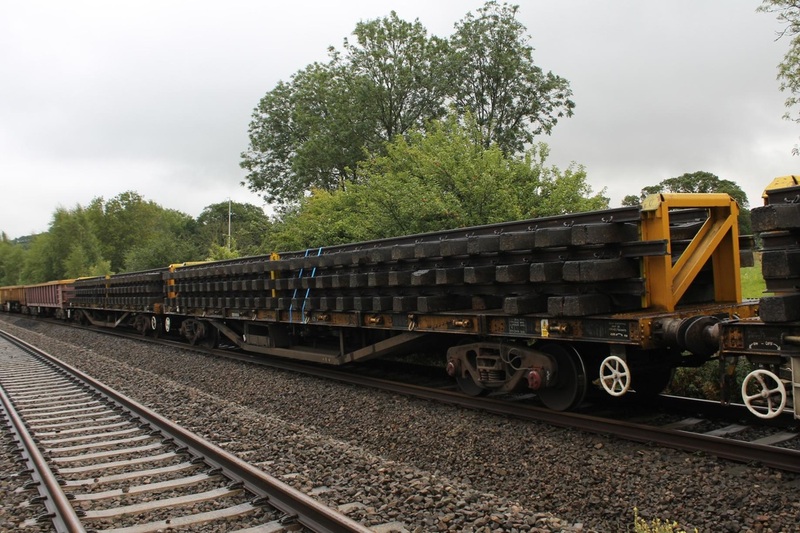 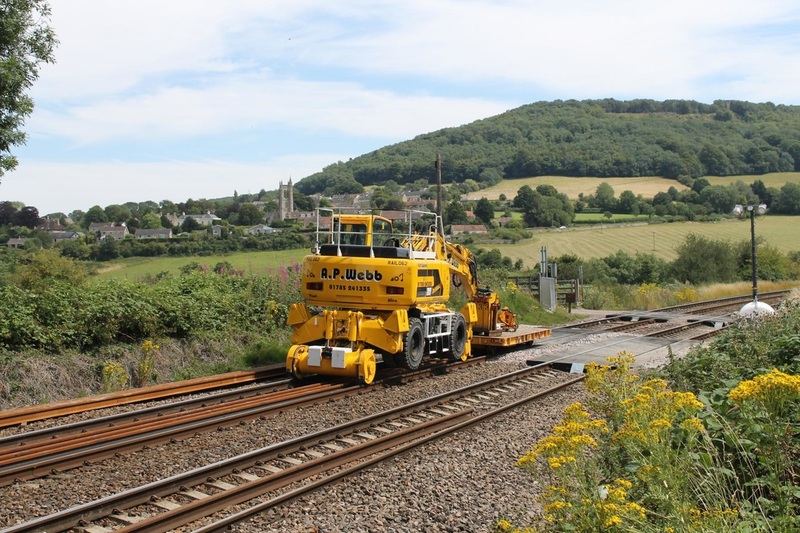 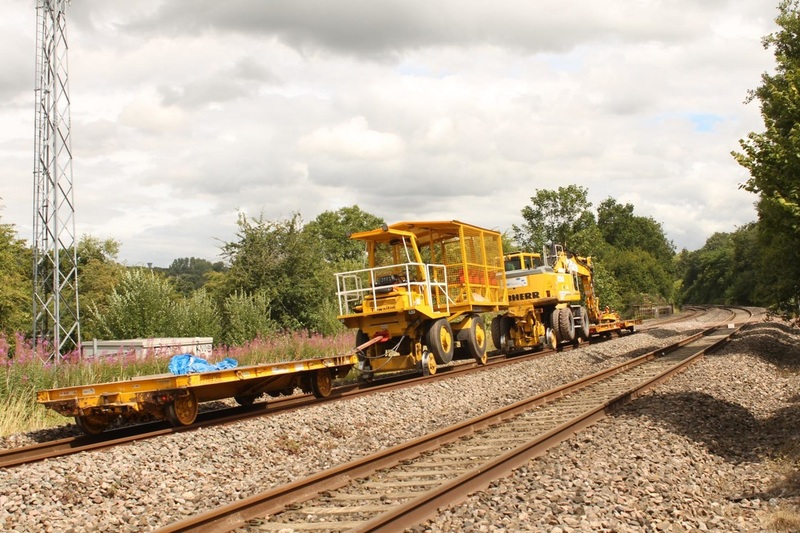 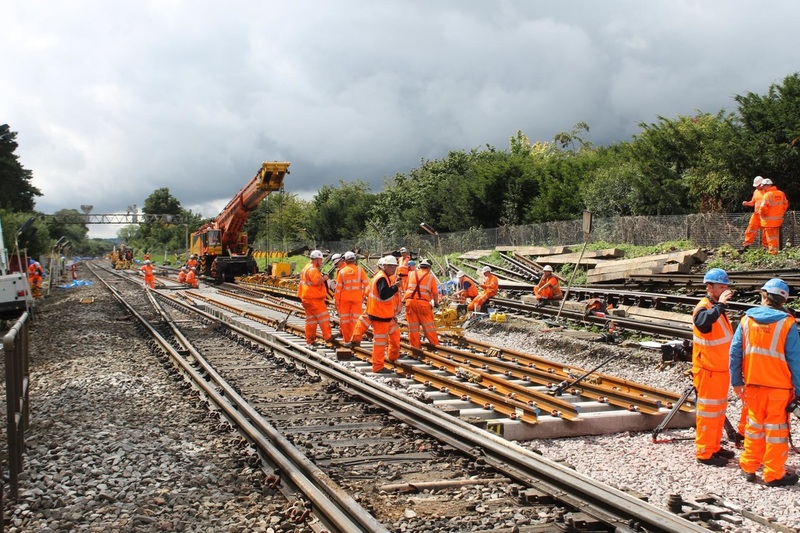 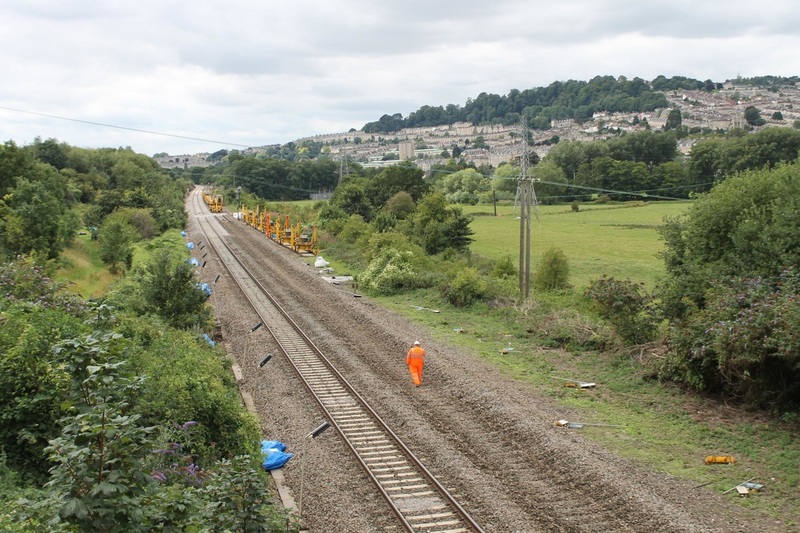 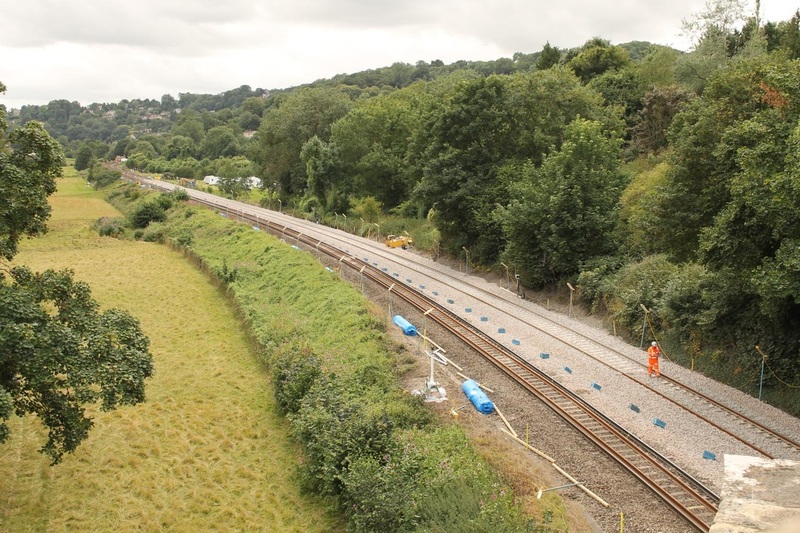 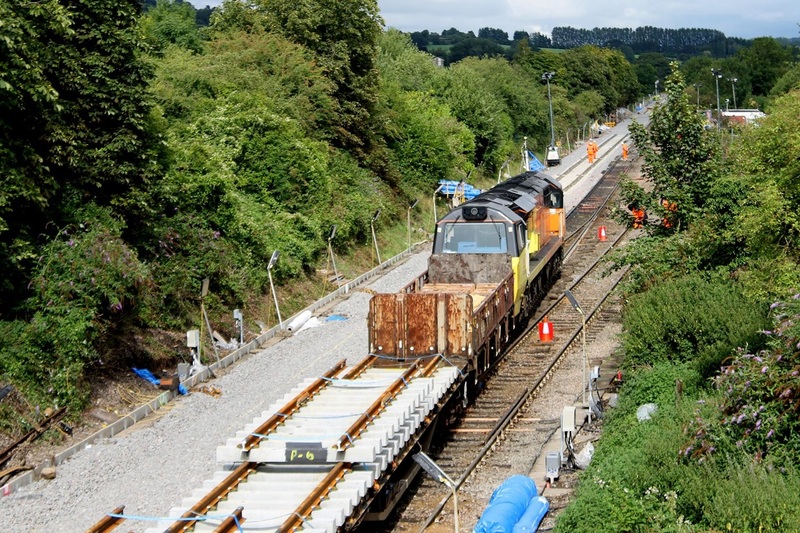 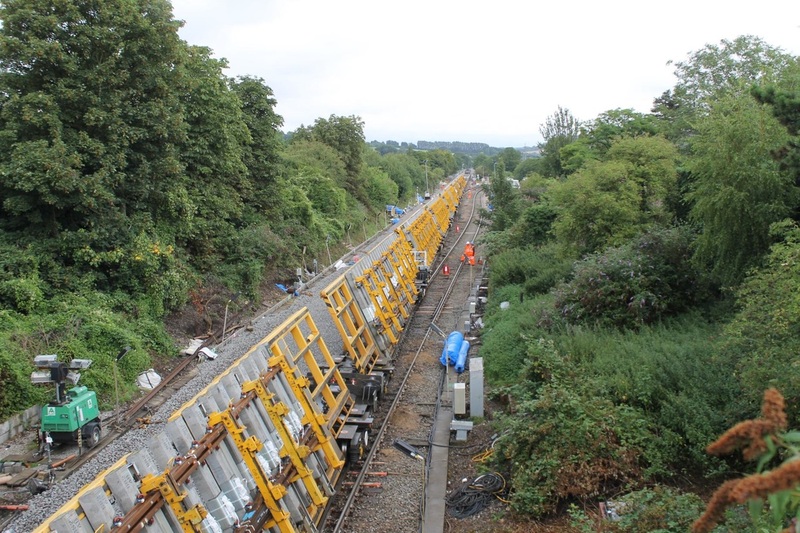 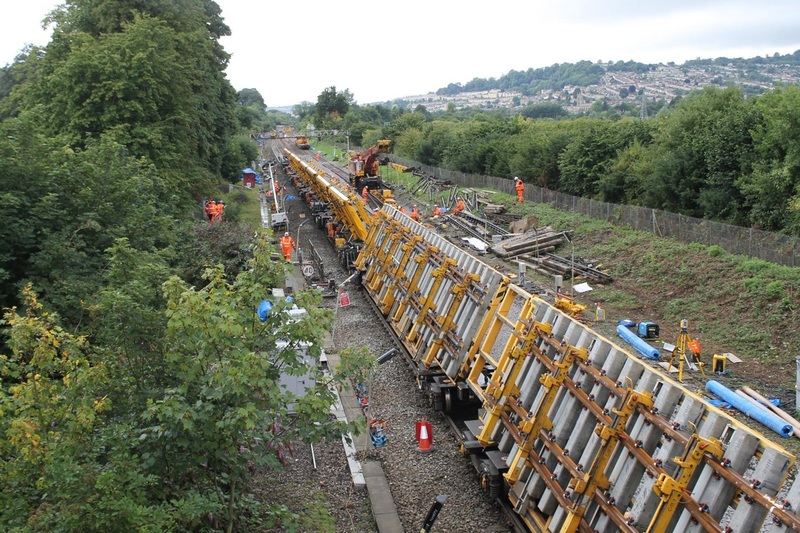 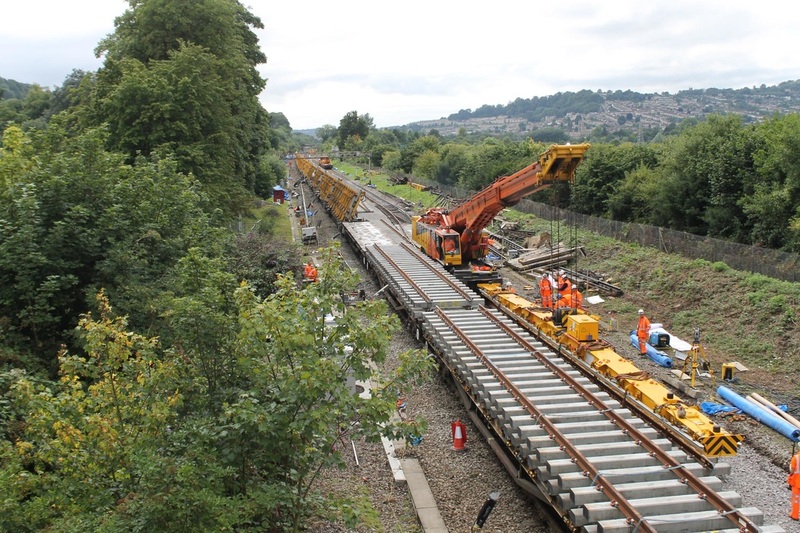 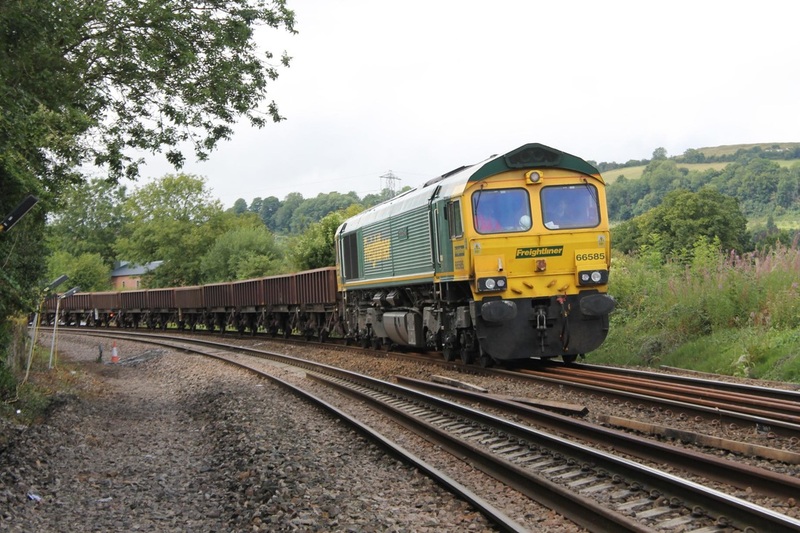 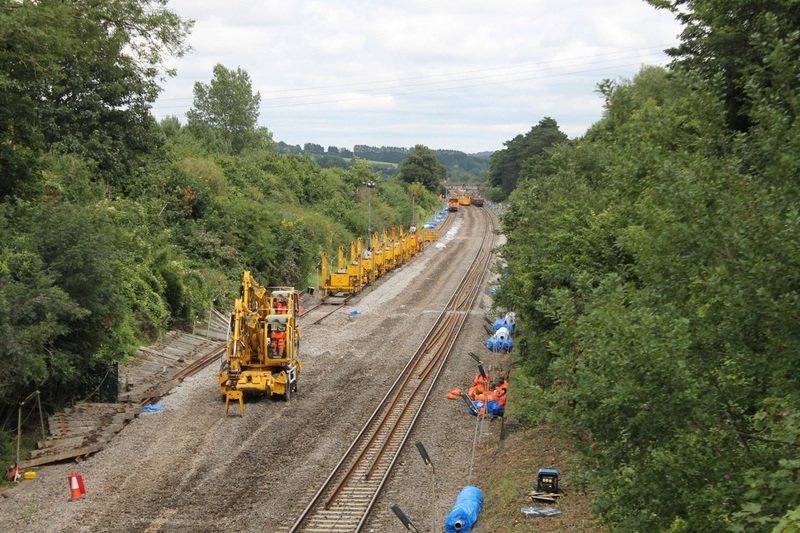 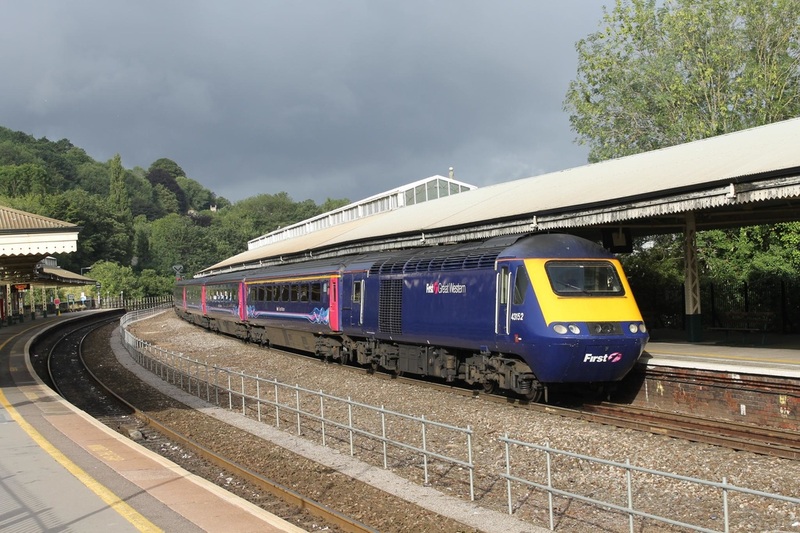 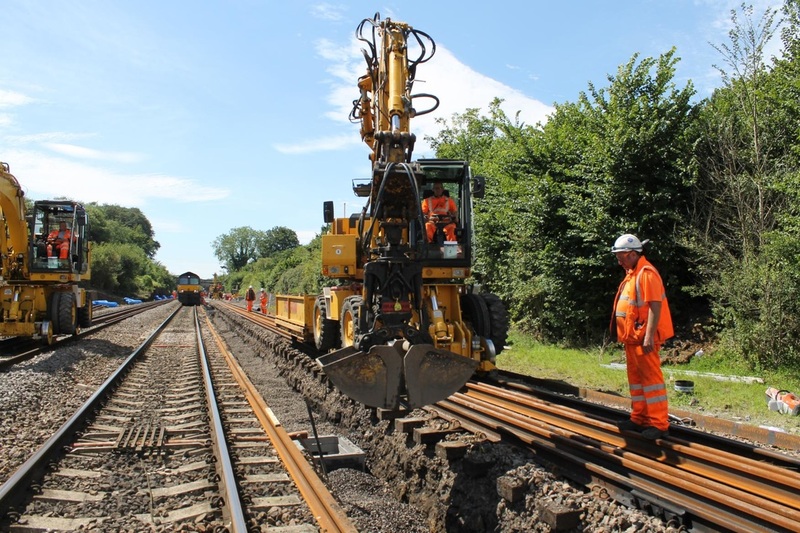 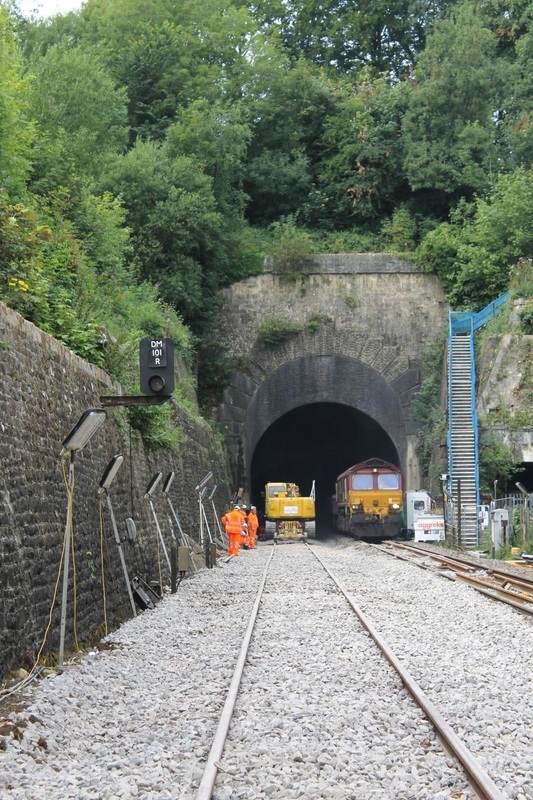 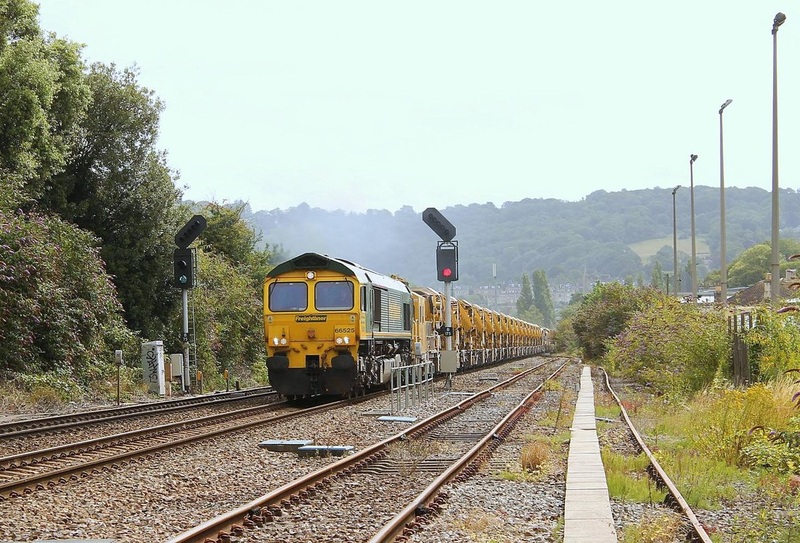 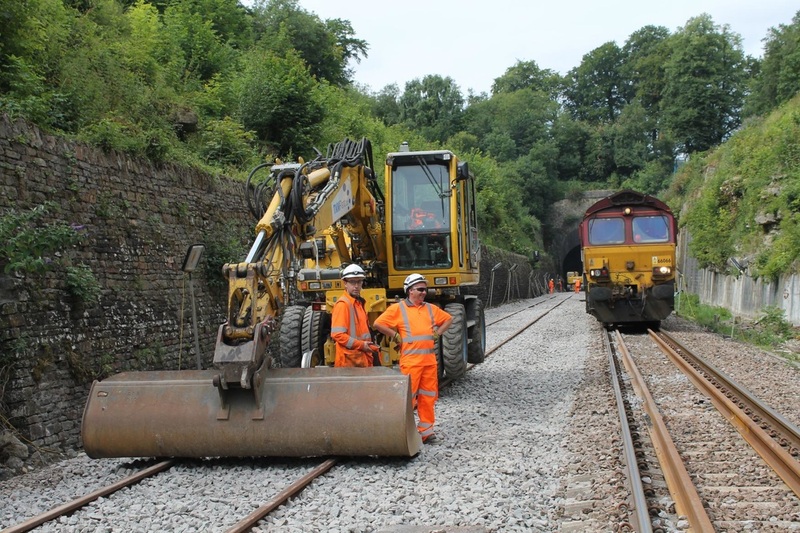 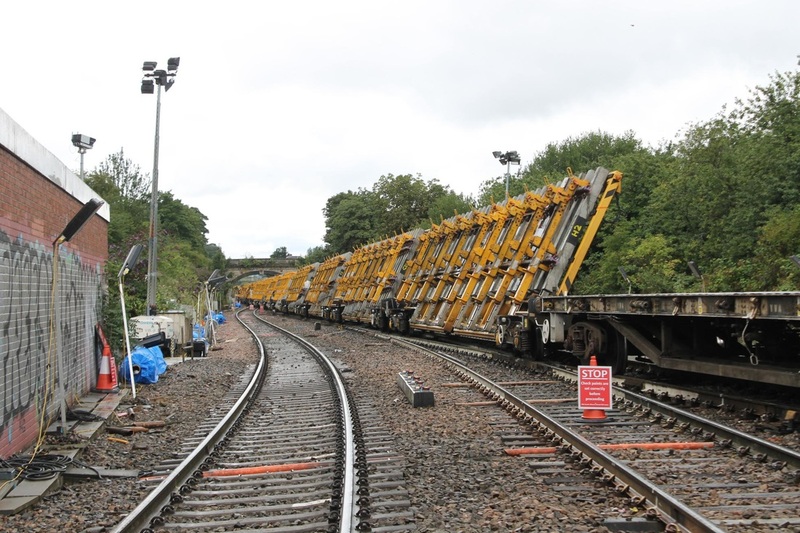 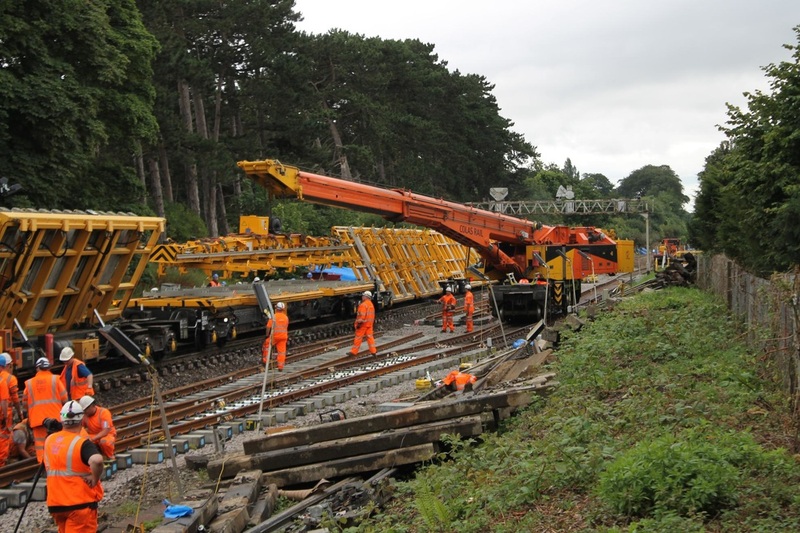 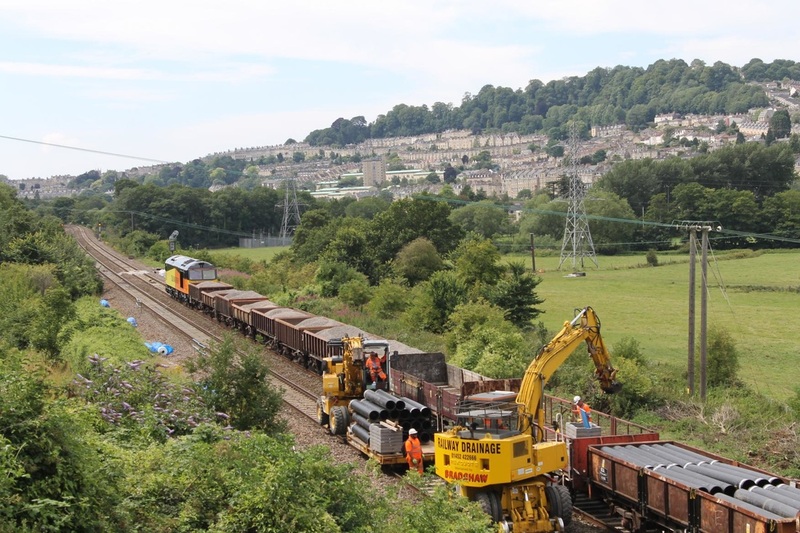 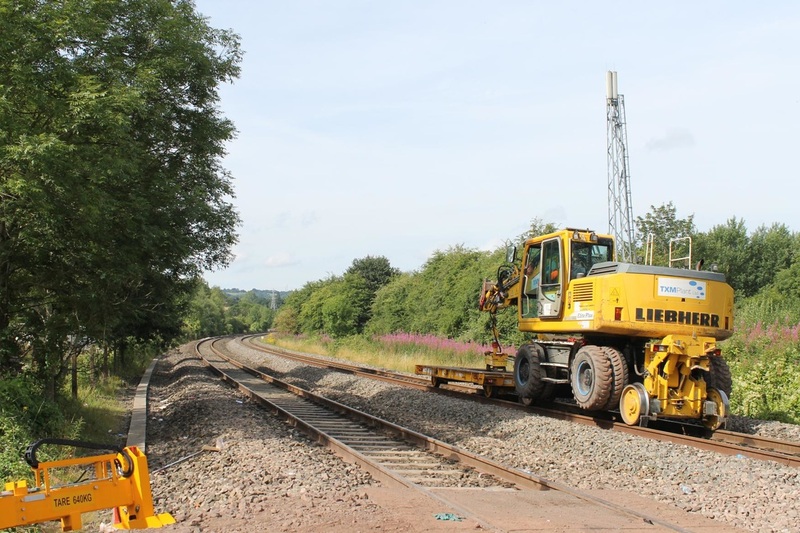 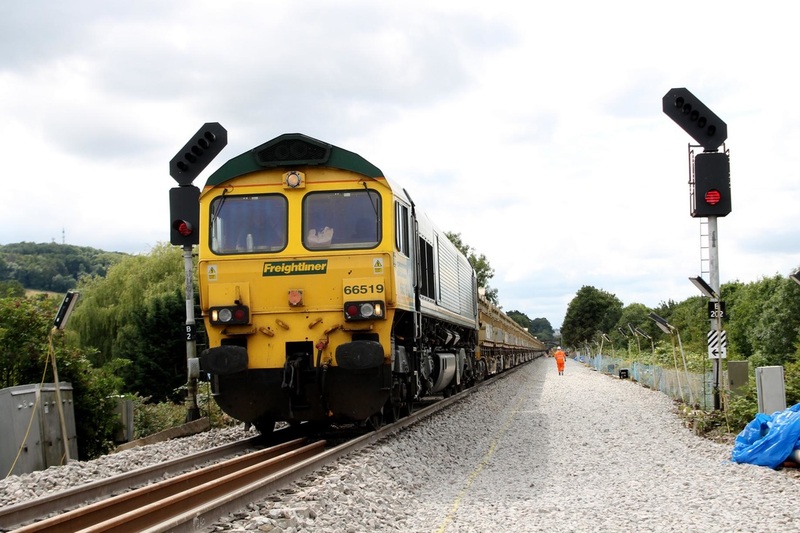 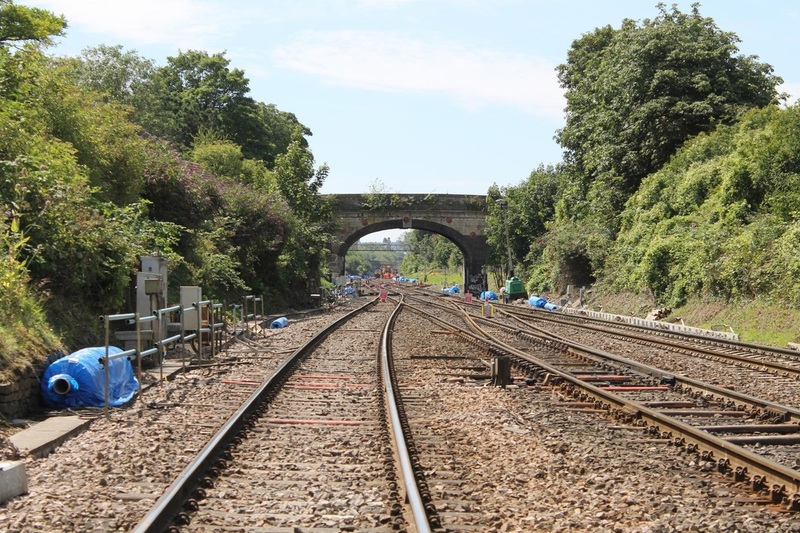 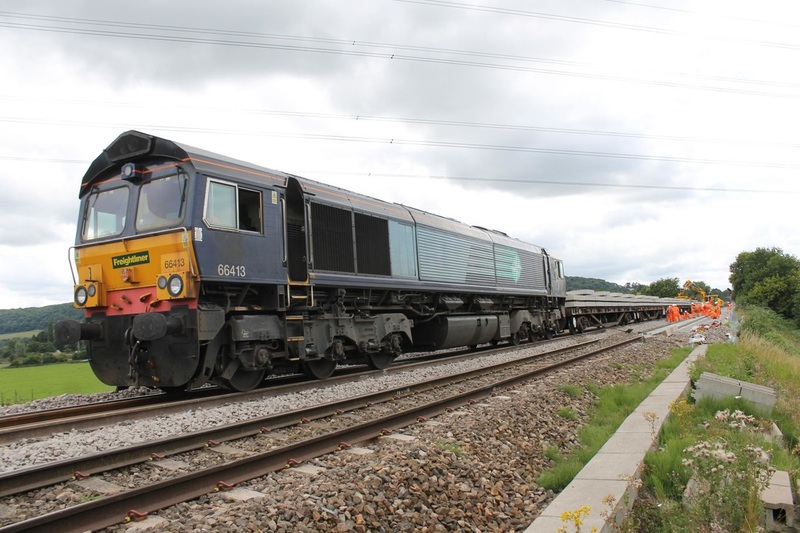 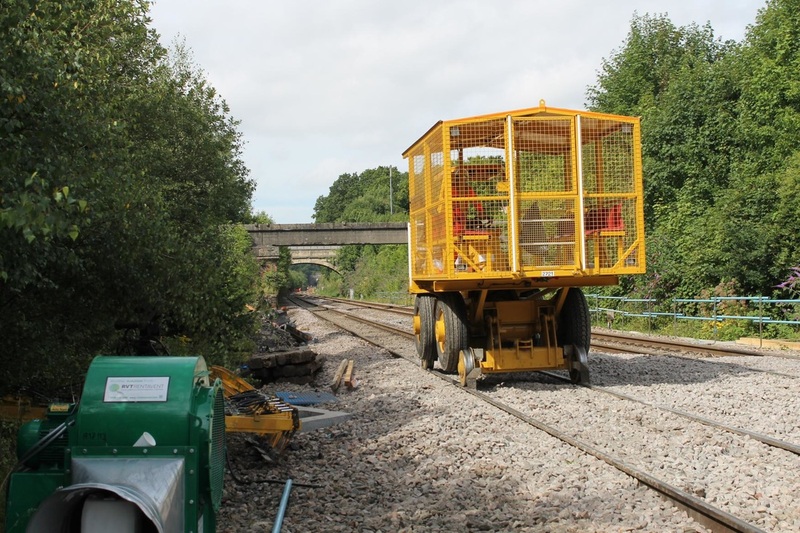 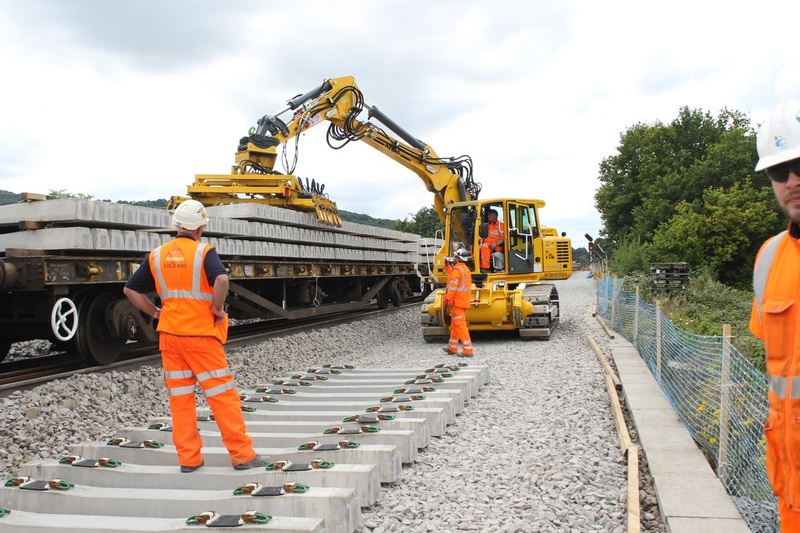 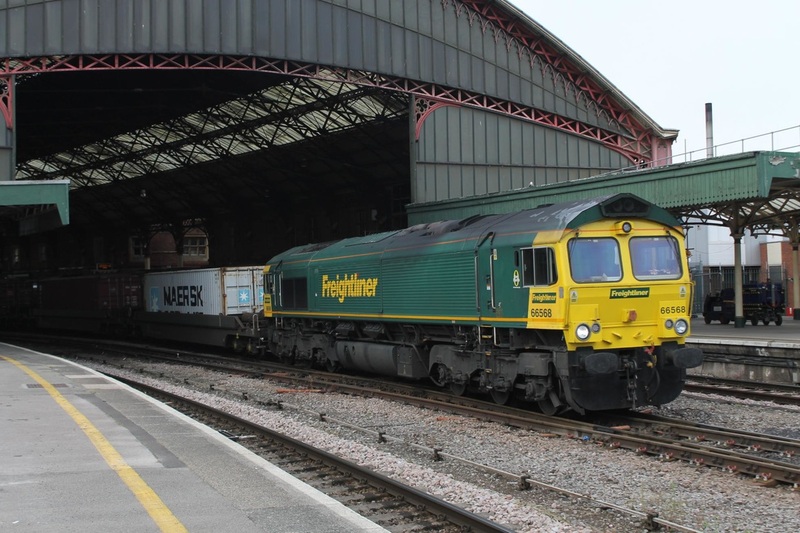 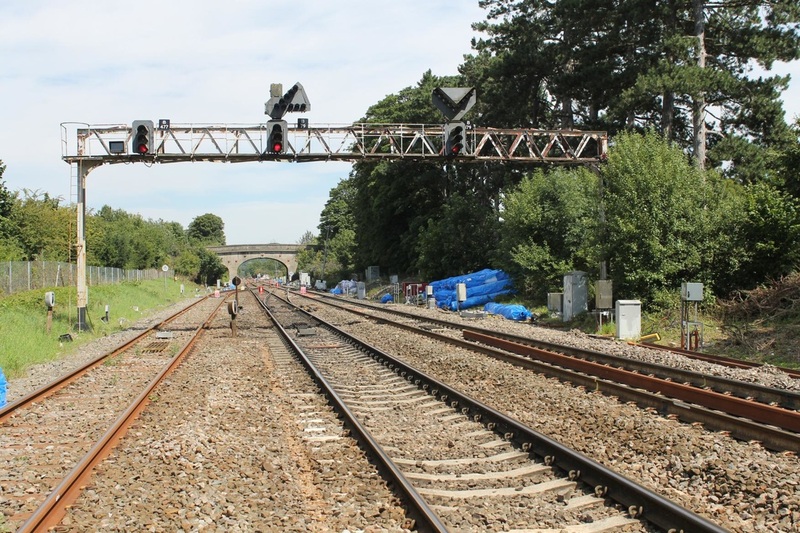 It was a massive project to prepare the lines around Bath for the forthcoming electrification. 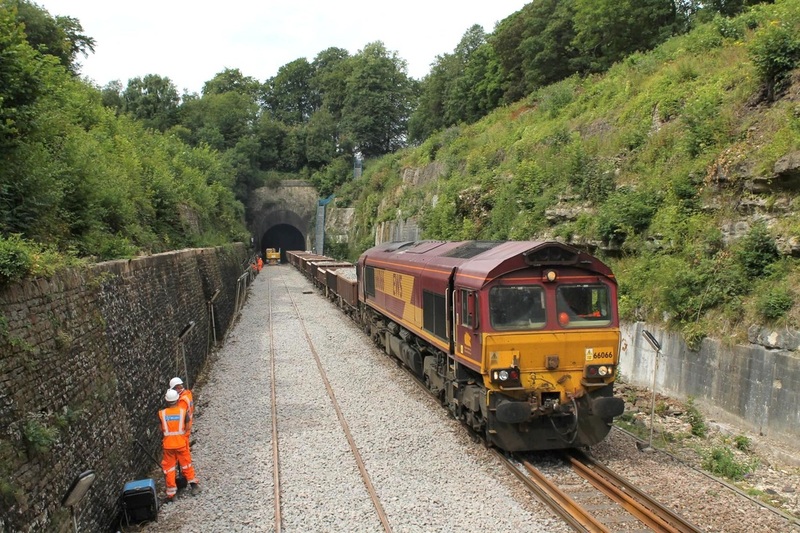 Tunnels and bridges have had the track bed dug down to provide increased clearances, this included the massive Box tunnel. 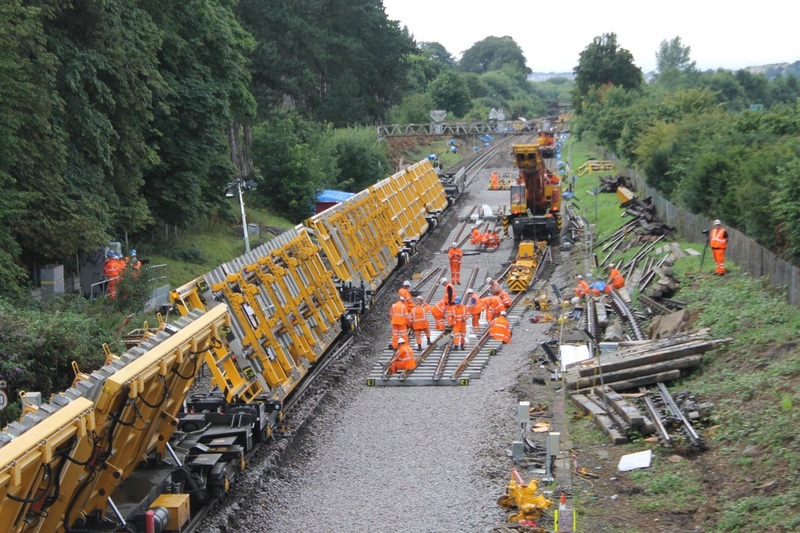 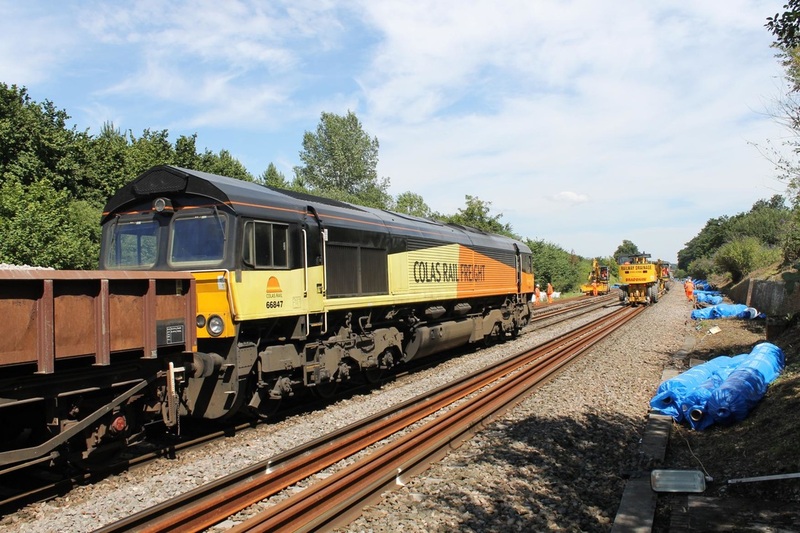 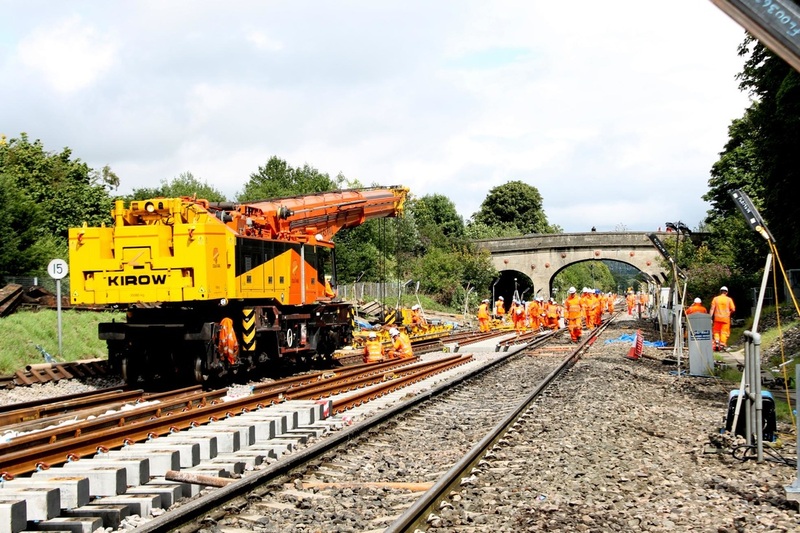 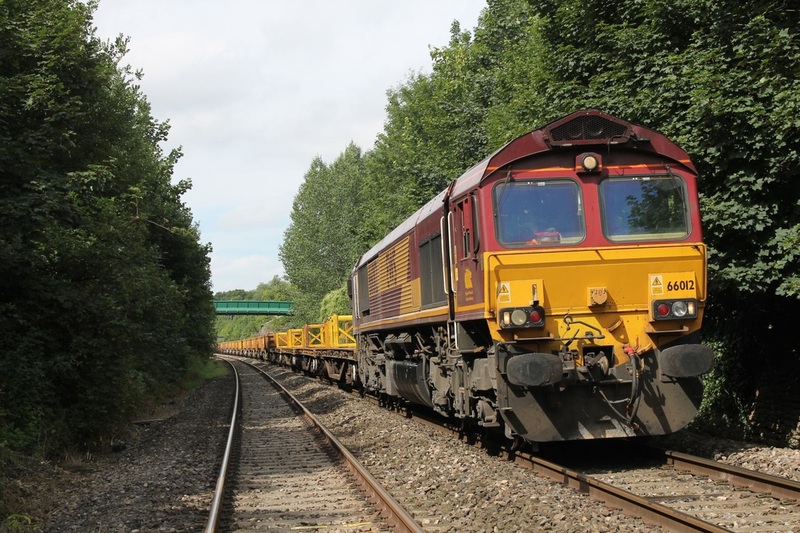 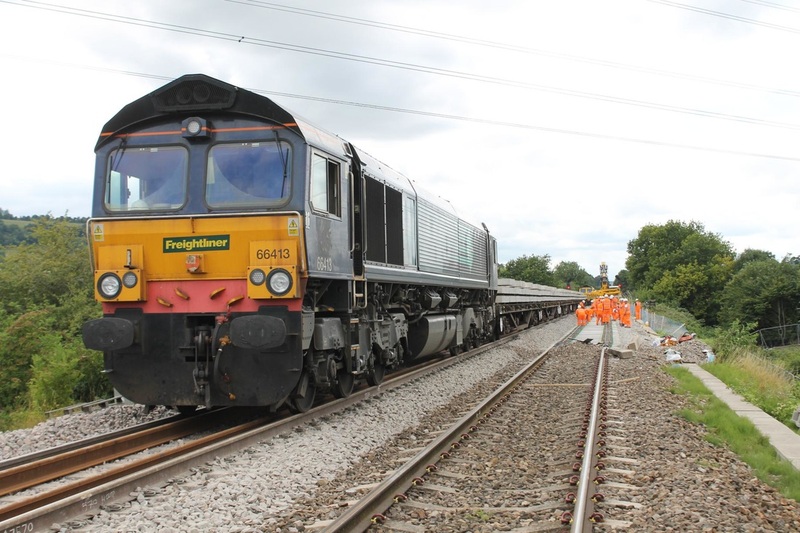 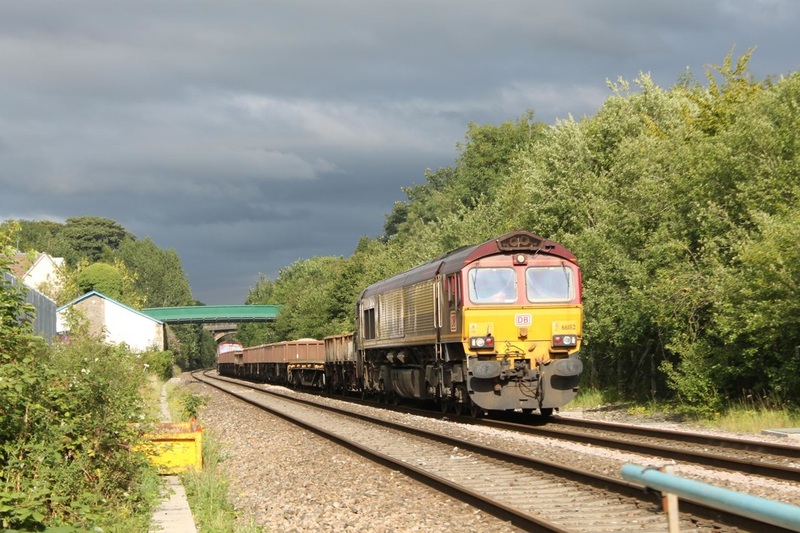 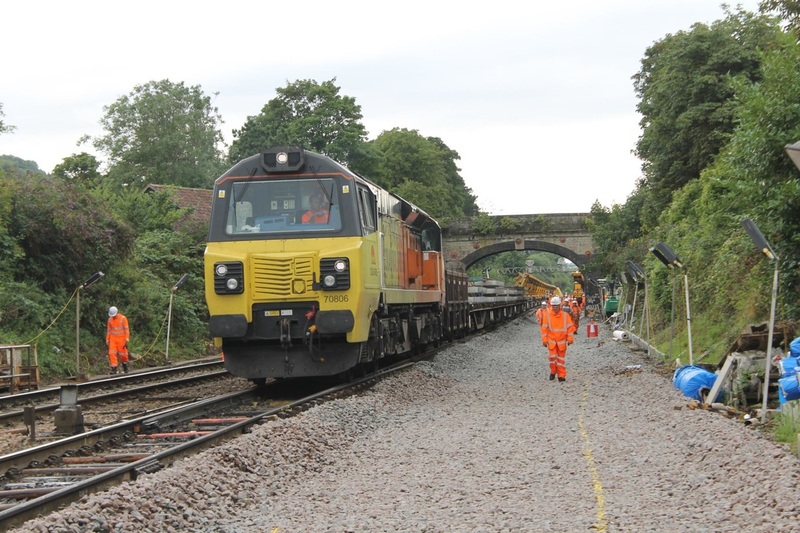 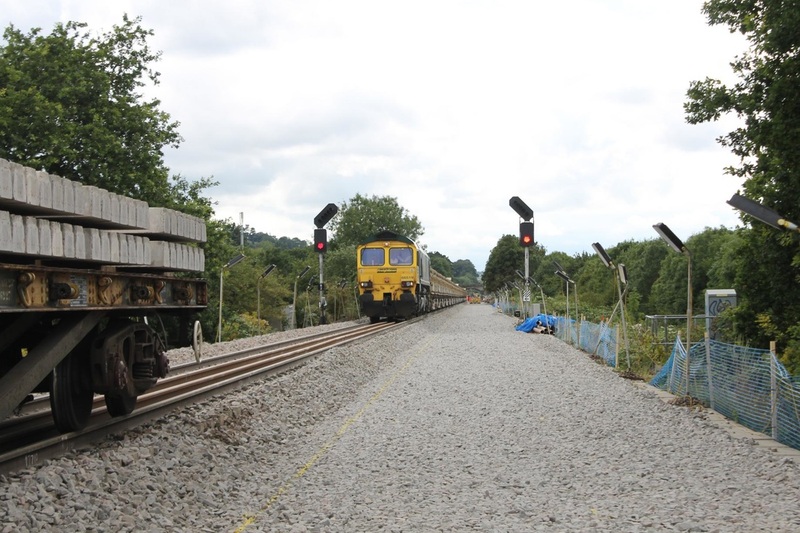 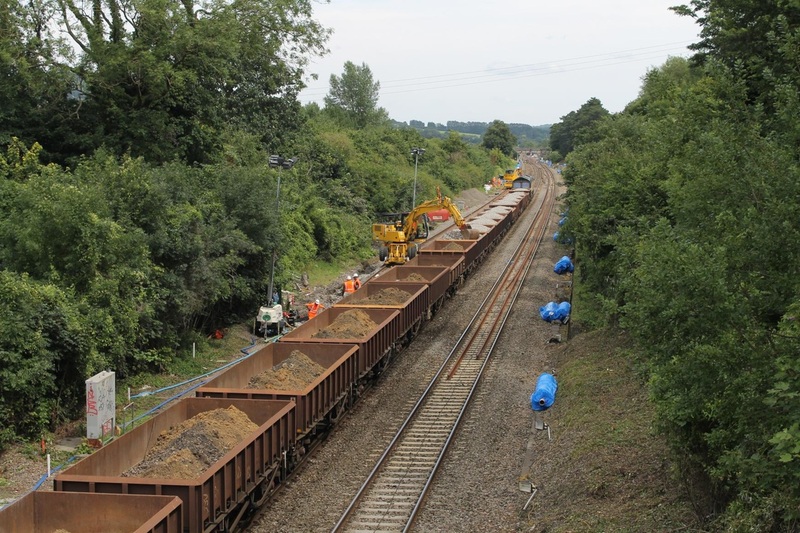 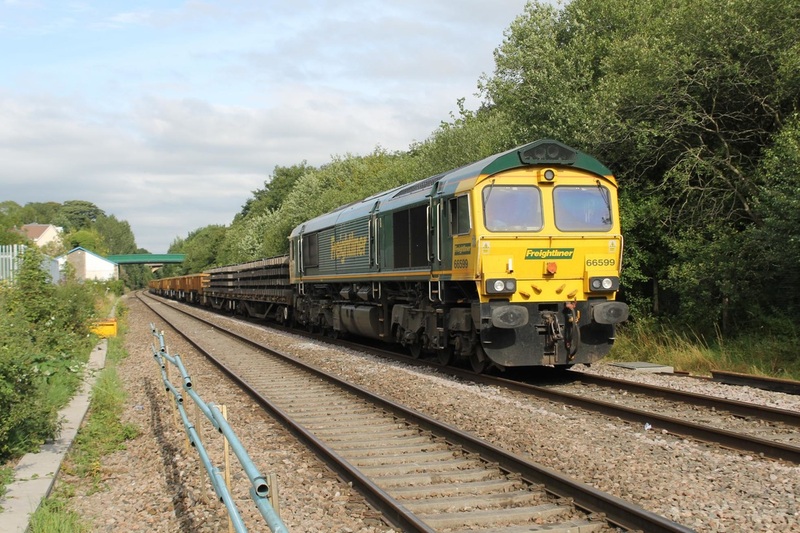 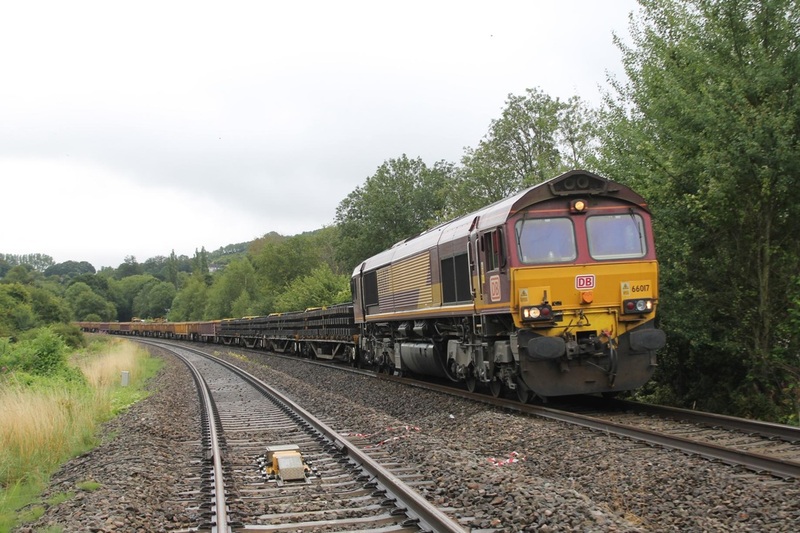 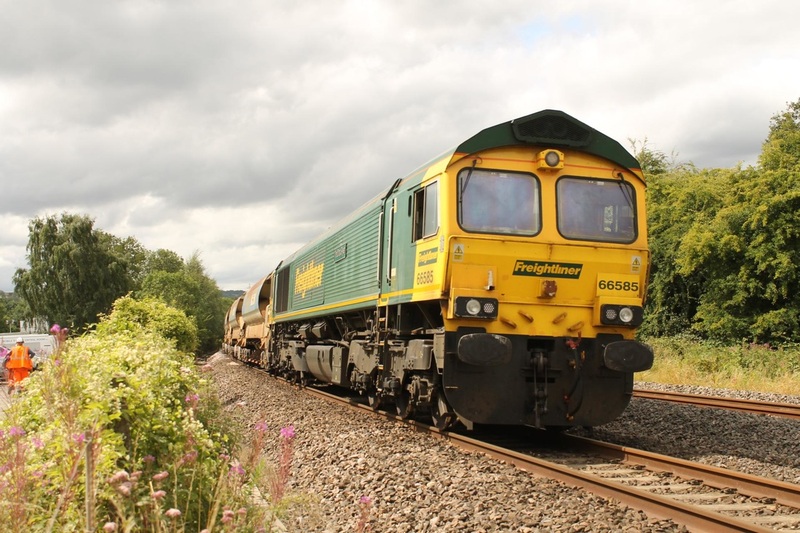 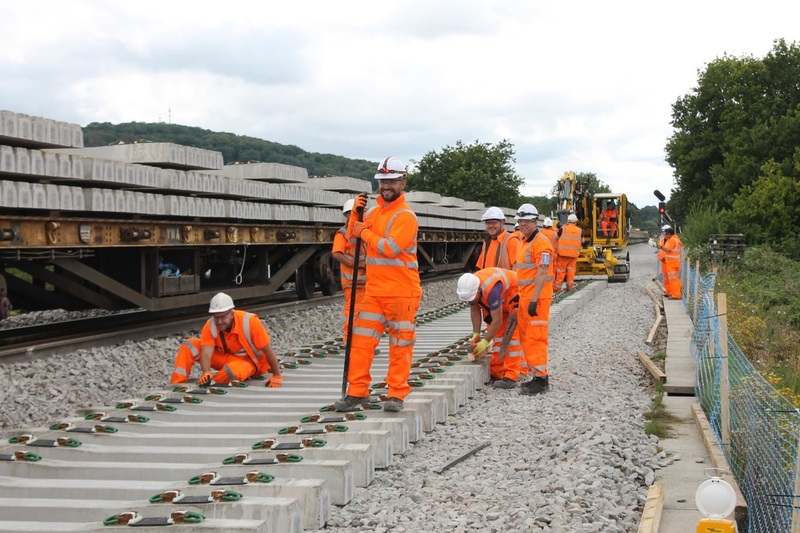 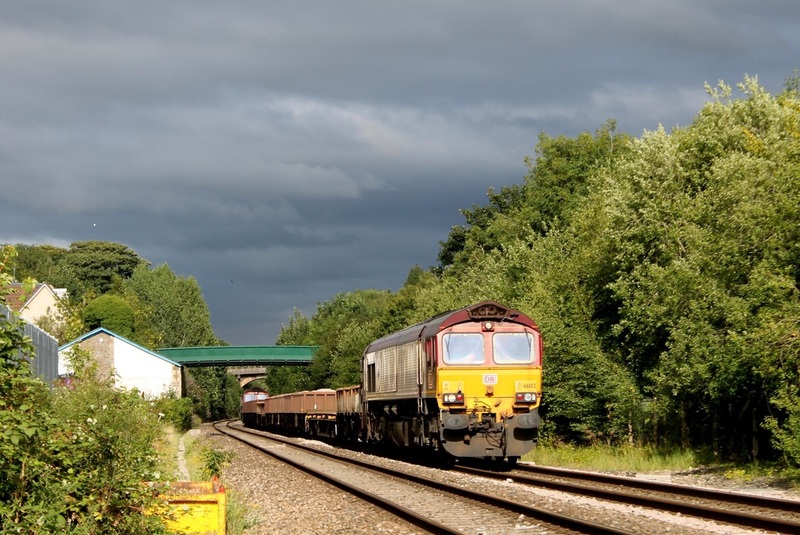 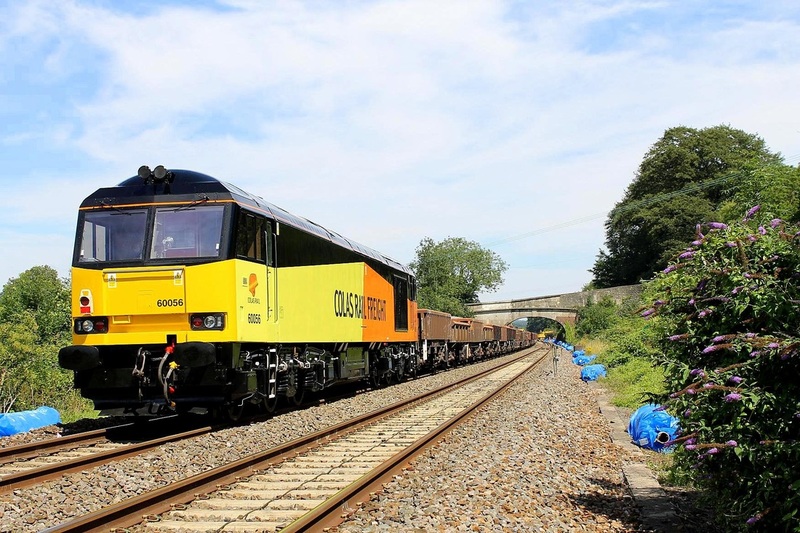 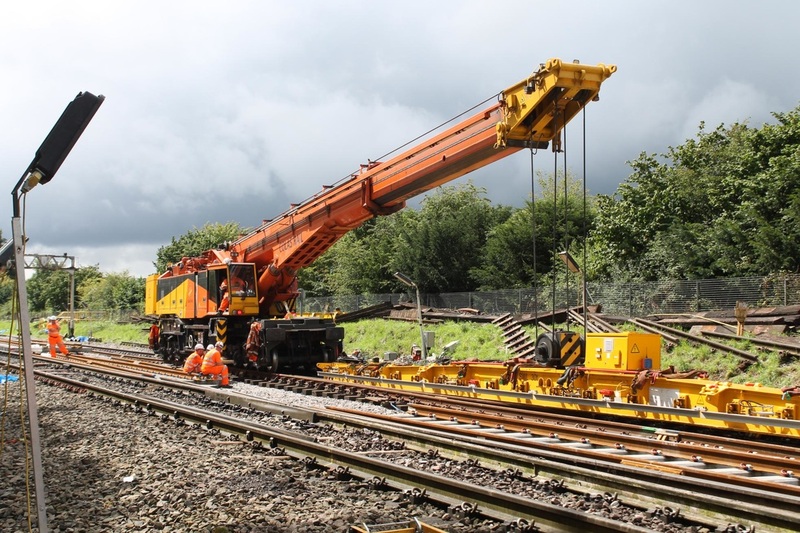 £50M spent on the project with 235 engineering trains and 24 hour man power needed to complete the task by September. 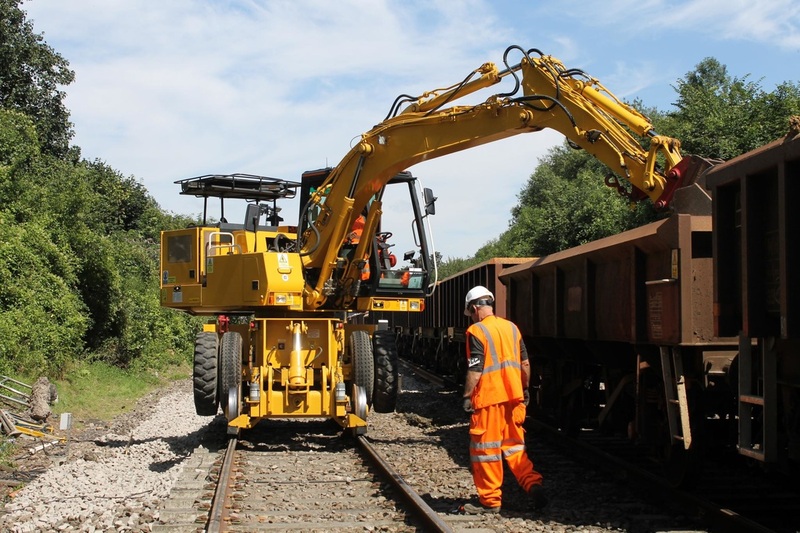 All site pictures taken with site clearance and accompanied by a COSS (Controller of Site Safety) at all times. 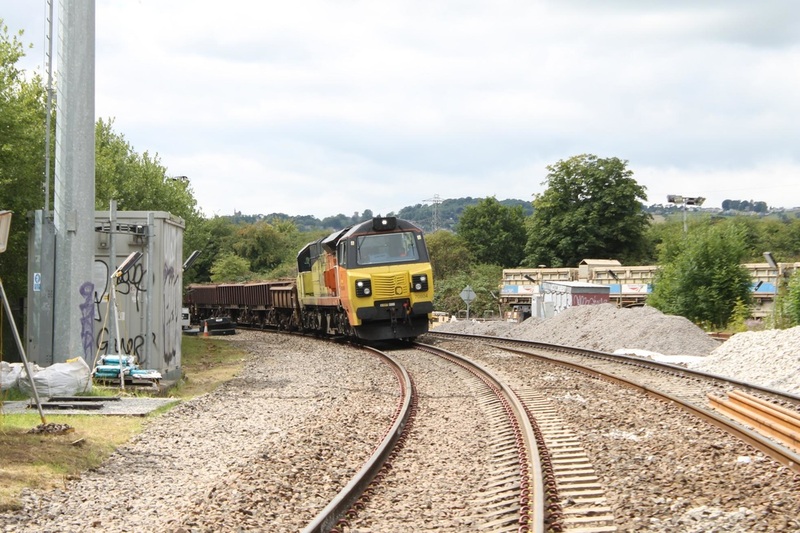 VERY SAD NEWS - WE ARE EXTREMELY SORRY TO REPORT THE DEATH OF DAVE KERNOW WHO COLLAPSED AND DIED ON DUTY AT A WORKSITE NEAR OXFORD IN LATE SEPTEMBER - OUR SYMPATHIES TO HIS WIFE AND FAMILY. 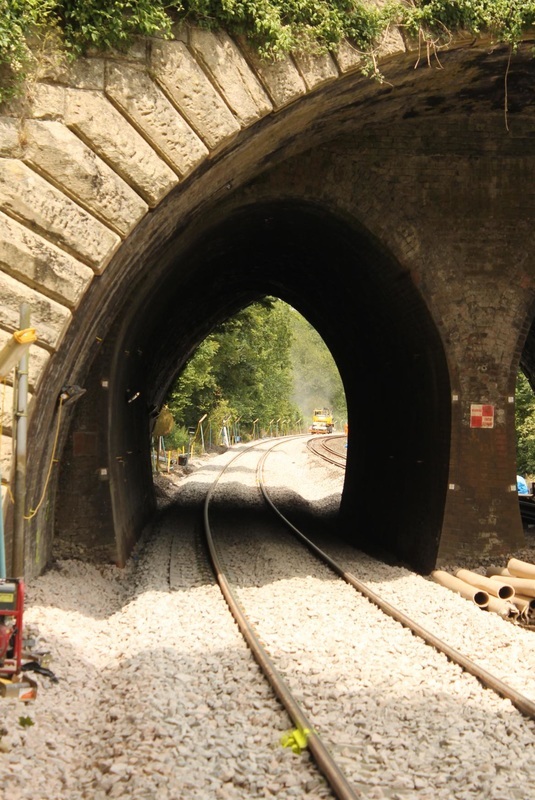 ​Concerning Box tunnel and the speculation that it was designed on such a bearing that the sun would shine through it on Brunel's birthday - 9th April. 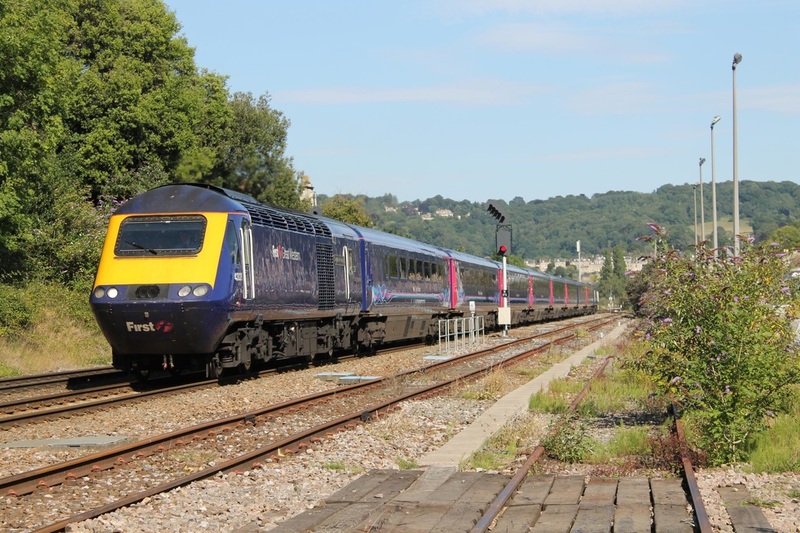 Please use the link below to see GWR's proof of this on the birthday of the great man. 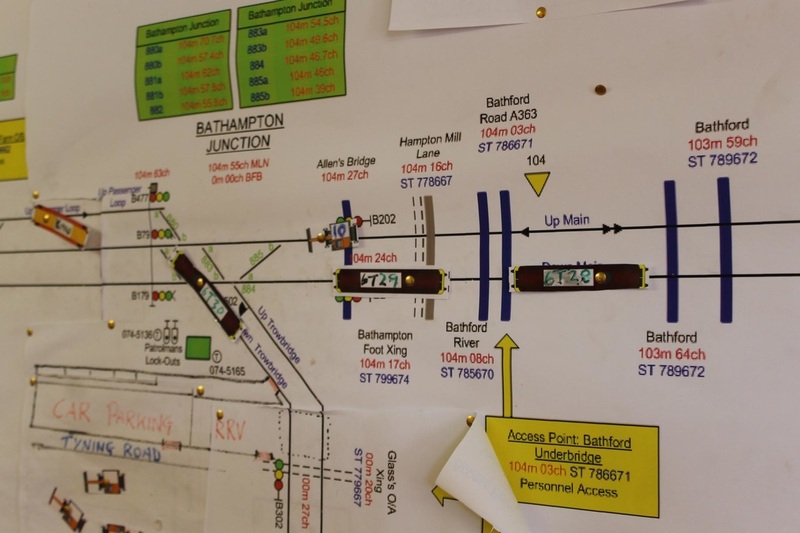 For more details of the secret workings which connected to the outside world, and the main line from the additional portal at the east end of Box Tunnel. 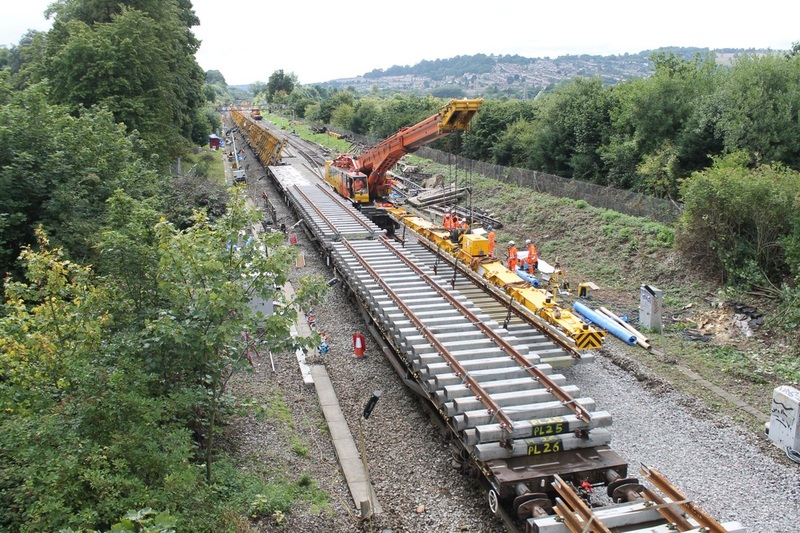 Please refer to these links kindly prepared by Karl Hewlett. 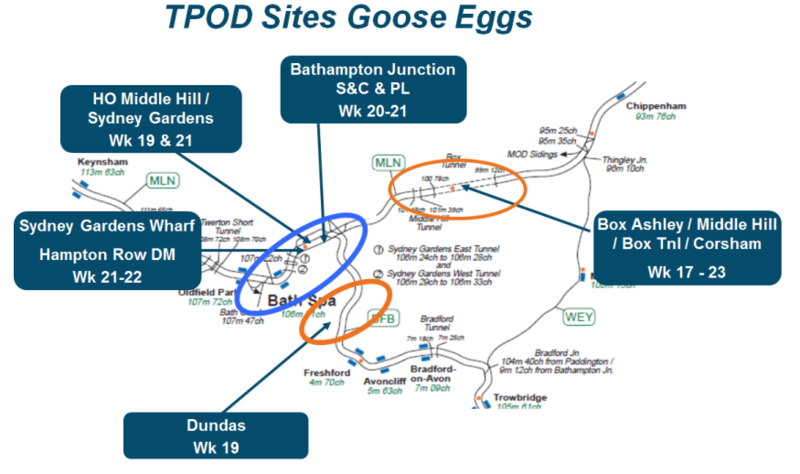 Kind Regards Karl (Friends of Penmere). 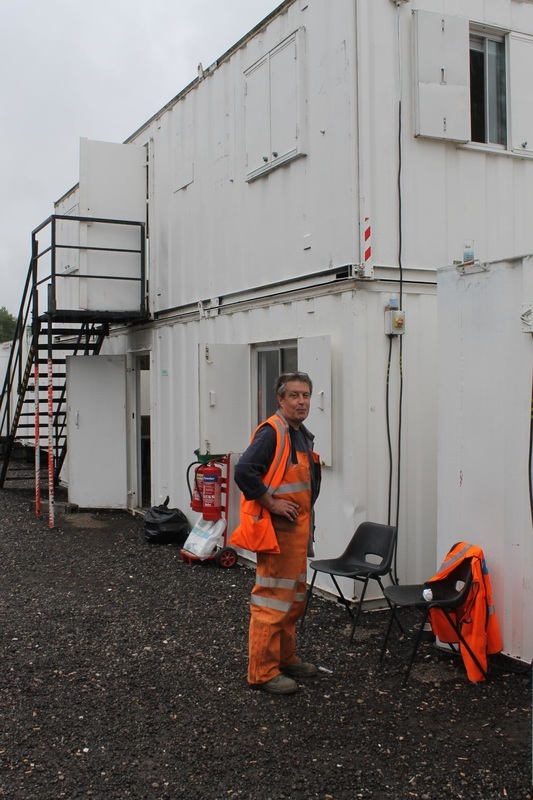 With very many thanks to Karl for his considerable effort in researching the information and links above. 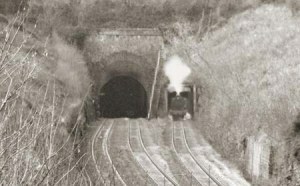 Additional link for more fascinating insights into the tunnel system connected with the third portal. 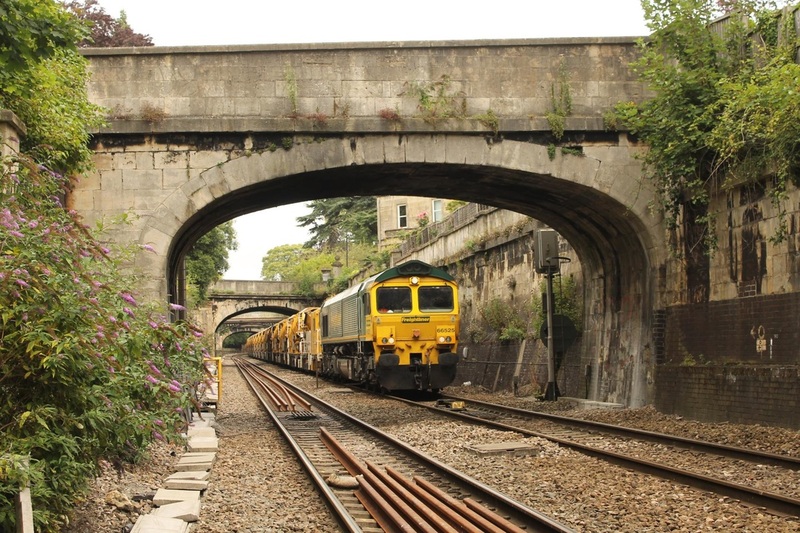 ​Many thanks indeed Karl, please click above for the railway and and underground Art Gallery.